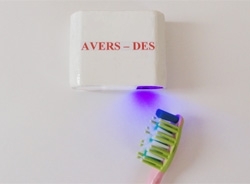 Products, AVERS Science and Research Development Company - physiotherapeutic devices, "Doctor Light"
This devise is intended for complete disinfection of toothbrush bristles after use for hygienic purposes by human beings through simultaneous ultraviolet and blue light spectra effect. The principle of operation of this device is based on bactericidal properties of ultraviolet and blue light spectra reducing virulence, growth of colonies and destruction of pathogenic microorganisms. This device is intended to normalize metabolism in human body, reduce blood viscosity, increase cell energy and reduce fatigue in people who work many hours at their PCs in an enclosed space. A device to extend shelf time of food products "AVERS-Freshguard", Specification 5150-001-58668926-2010, Certificate of Conformity ROSS RU.AB52.B02159. This device is intended to extend significantly the shelf time of food products of plant and animal origin without freezing. 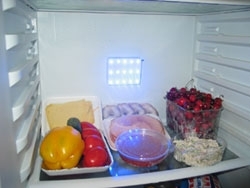 The device operates independently in freezer with no power supply; it is suitable in long trips with no freezer (cold containers) keeping the food products unspoiled. 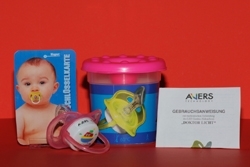 This unique product is designed to look like an ordinary child’s dummy. 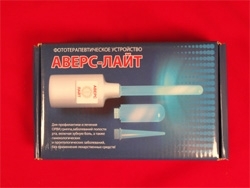 With its treatment and prophylaxis properties, it is not only one of a kind product but it also has no side effects. 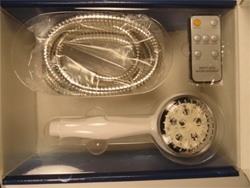 The device is best used for treatment or even prevention of the flu virus. This is almost like having a pocket sanitarium in your house, kindergarten or children’s health organizations. 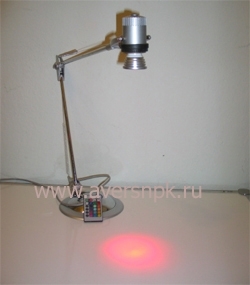 Analogical therapeutic effects of the device to "Doctor Light", AVERS scientists have developed an "LED based device for oral irradiation" (Patent Number 50420 as of 09/08/05), for daily usage and treatment of viral infections for children and adults. 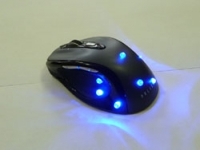 Besides Dermatology, no other medical specialization accepted light therapy as a treatment method. Positive effects on the skin from sun light were known from very long ago. The energy coming from the sun as rays affects the body with its Infrared to Ultraviolet spectrum.